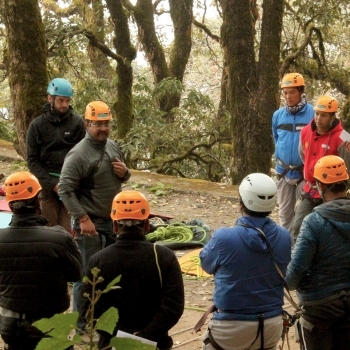 This course is beneficial for those working in travel companies, educational and outdoor organisations, sports and adventure bodies, hospitality industry, offsites-events, government agencies like relief agencies, disaster management and and rescue forces. Our instructors are professional care providers with many years of outdoor leadership experience. CPR (Cardiopulmonary Resuscitation) is an incredibly important skill, particularly in an urban environment. The session is practical and hands-on focusing on Myocardial Infarction (MI), Sudden Cardiac Arrest (SCA), Angina, Stroke (Haemorrhagic & Ischemic), Transient Ischemic Attack (TIA), Foreign Body Airway Obstruction (FBAO) along with Cardiopulmonary Resuscitation (CPR) incorporating the Automated External Defibrillator (AED). We limit the group size to 30 in order to make the course effective. Recertification for both WFA & CPR involves undertaking the full course again after two years.